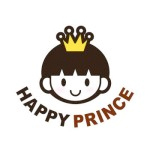 Happy Prince is a Korean brand that, since 2006, specializes in accessories for children from new born to age 7. Their collection can generally be characterized as ‘soooo cute!’ and all items are very affordable. It is therefore no surprise that Happy Prince items are selling around the world.